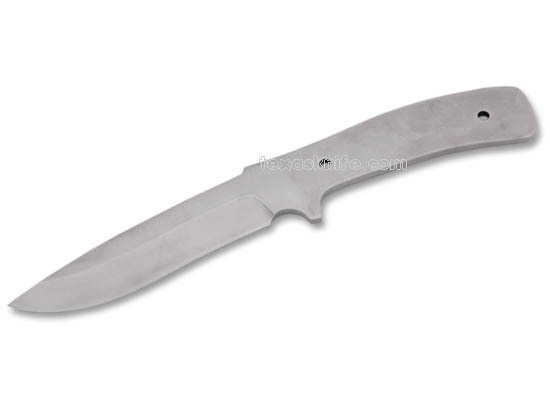 This Drop Point Tactical Blade is 9-1/2" long, with a blade that is 4-1/2" long, 1-1/8" wide, and 5/32" thick. The blade is made from 440C stainless steel which has been cryogenically treated for extra edge holding. The blade has a fine satin finish and is hollow ground to a?razor sharp?edge. This blade is full tang with 2 (0.20") pin holes for pin sizes up to 3/16". Use?SHEATH#3 (SHE3). This blade?will make a fine hunting knife.